After studying at the Art Academy in the Netherlands, Caroline finished a master at the Royal College of Art in London. She then started focusing on product development, but as she says herself; “I’m not an engineer. I do speak the language but I concentrate on the full picture”. During her work she discovered that in many cases of product development there is a serious lack of context. She feels that questions such as: Why does the customer want to develop this product? Are those the right reasons? How does the customer want to be recognised? How do we get the product to be consistent with the rest of their products? What does the customer have to keep in mind in the future? don’t get asked often enough. In the current product development process the two phases ‘concept’ and ‘detail’ are separate. According to Caroline a third phase can be added, in which all aspects that are important during the concept phase are described. She calls this phase contextual. 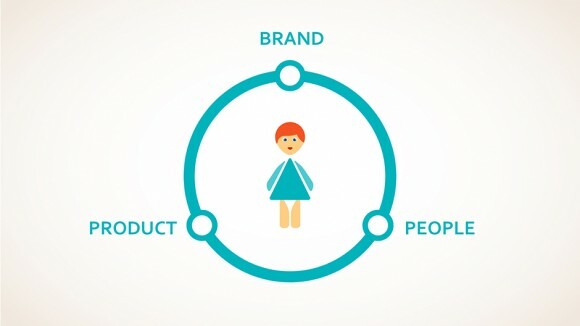 The three elements ‘brand’, ‘people’ and ‘product’ can be seen as an ecosystem, in which they all influence each other. To be able to define these elements, Caroline made a list of several significant words that contribute to defining the identity of the client. Based on this, she developed in cooperation with the other members of the design team, several tools that allow this identity to be visualised. Caroline feels right at home within her specialism. She appreciates the abstract aspect of the consultancy activities of her new function, but she also doesn’t want to give up being a designer. The combination is what makes the job so interesting and challenging. The reactions of colleagues and clients to Caroline’s specialism have been very positive so far. Clients can even choose how far they want to take this service, depending on their budget. Caroline and her specialisation have really emphasised the unique role that MMID plays in the field of product development.